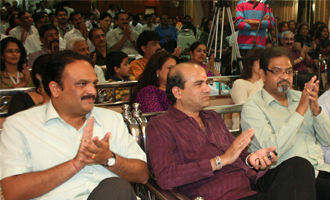 Mumbai Educational Trust celebrated the spirit of togetherness and bonding by organizing a classic musical evening on February 24, 2010 at the MET Convention Centre. The entire MET family of the trustees, visiting faculties, guest lecturers, key corporates and non-teaching staff were present at the packed event. The popular orchestra – ‘Khumaar’ presented medley of evergreen bollywood super hit songs; that were highly appreciated and enjoyed by all.